Forbes is reporting on a new study conducted by the National Insitute on Retirement Security forecasting that a modest retirement for the “average” American Middle-class worker is in peril. The study, produced by Diane Oakley, NIRS Executive Director, claims that 4 in 5 American workers are falling short of conservative retirement savings goals, and the same 80% have less than one year’s income with 60% of those having virtually nothing put aside. There are those in our industry that scoff at the idea that there is, in fact, a retirement crisis, but according to the NIRS, more than 100 million working Americans do not have an employer-sponsored retirement account (DC, DB, and/or individual account) – horrifying! The typical American needs roughly 85% of their working income to maintain their lifestyle. According to the study, Social Security will only replace on average 35% of one’s income leaving a significant gap that has yet to be filled because of the absence of an employer-sponsored retirement option. The fight to protect and preserve multiemployer defined benefit plans is happening on many fronts. As regular readers of the KCS Blog know, we have been at the forefront of bringing information to you regarding the crisis that is unfolding for the 114 critical and declining plans. The Joint Select Committee on the Solvency of Multiemployer Pension Plans continues to debate various “solutions” to this issue. Action is needed now and there is no place for politics as usual. 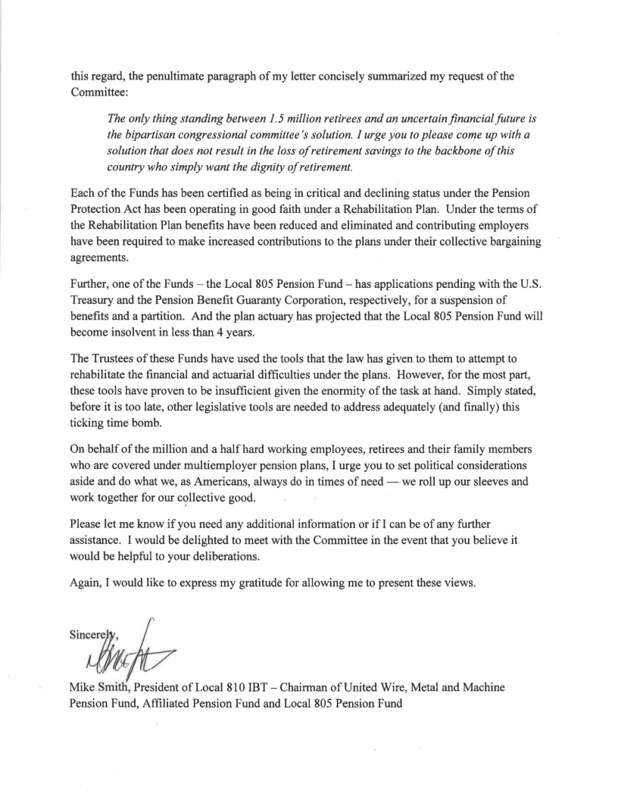 Here is a wonderfully written letter from Mike Smith, President, Teamsters Local Union No. 810. It highlights the fact that 1.5 million retirees are facing a very uncertain (frightening) future as a result of the failure to protect the benefits for these hardworking Americans. This situation is unacceptable! 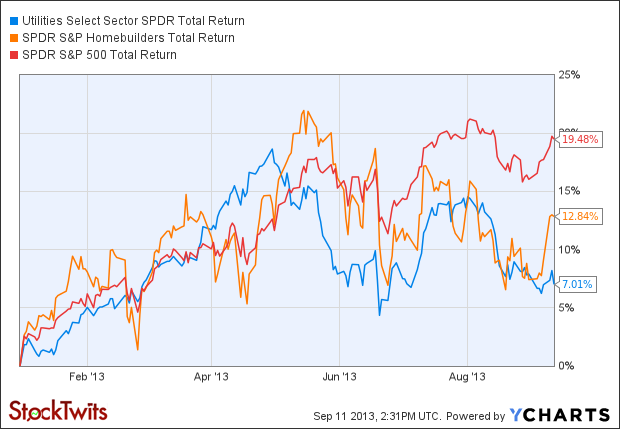 The Role of Fixed Income? There was an article yesterday from Chief Investment Officer Alert highlighting the fact that CalPERS’s fixed income group had received a D grade from their lead consultant Wilshire. As it turns out, the grade was given primarily as a result of key turnover in the leadership of the fixed-income unit and not related to the implementation of their bond program. However, it got me thinking about bonds. Do you think about bonds? Where do bonds go in Asset Allocation for defined benefit pension plans? What is the value of owning bonds? Very simply, CASH FLOW! Don’t sell bonds in this rising interest rate environment, put it to work more efficiently! Ryan ALM and KCS have been traveling across the country discussing alternative approaches to asset allocation for much of the last 6 years. In fact, we will be presenting some of our ideas at the Florida Public Pension Trustee Association (FPPTA) next week. I will then be presenting on the same topic in three weeks at the International Foundation of Employee Benefit Plans (IFEBP) in New Orleans. The idea is very straightforward. Bonds have one role, and that is to provide certain future values that can be used to match the value of future benefit payments. This strategy is the preferred implementation of the three (annuities and LDI being the other two) being proposed within the Butch Lewis Act legislation. Furthermore, cash-flow matching has been a strategy employed by pension executives since DB plans were first introduced. However, this strategy lost some luster when asset consultants came into being with the promise to build a better pension mouse trap focused on the return on asset assumption (ROA). As a result, asset/liability studies were conducted with a focus on generating a return that would exceed the ROA and NOT on the principle of meeting the promise (benefits) at the lowest cost and at reasonable risk. Unfortunately, with a focus on return, consultants and plan sponsors have dramatically reduced fixed income exposure in most pension systems during the last two decades as yields fell (asset allocation models use yield as a proxy for return) causing these plans to miss one of the greatest bull markets ever for bonds. In addition, the growing fear that U.S. interest rates would rise rapidly caused many plans to further reduce their bond allocations. As a result, public pensions systems have equity exposures that are greater than those we witnessed in 2007, and this after 9 1/2 years of a historic equity bull market. We believe plan sponsors would be best served by bifurcating their portfolios into two components – de-risking assets and growth assets. The de-risking assets would be a cash-flow matching strategy aimed at the current retired lives benefits, while the growth portfolio is focused on beating liability growth for active participants. Timing any aspect of the markets has proven incredibly challenging for most market participants. Our strategy takes the guesswork out of the equation. We are happy to share our presentations with you on how a cash-flow matching strategy can be used to enhanced the funded status and stabilize contribution expense. Location, location, location may be the real estate agents’ mantra, but it is also becoming critically important in determining the economic fate for the American worker. Regrettably, the recovery from the Great Financial Crisis has been incredibly uneven for a wide swath of our country. Most of today’s distressed communities saw ZERO net gains in employment and business establishments since 2000. In fact, more than half have seen net losses on both fronts. Half of the adults living in distressed zip codes are attempting to find gainful employment in the modern economy armed with only a high school education, at best. The analysis covers more than 26,000 counties representing 99.9% of the U.S. population. 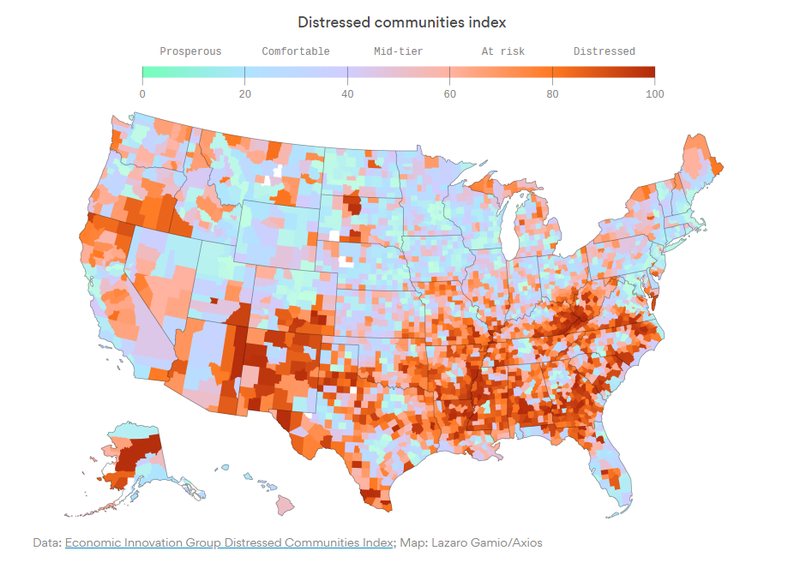 As the chart highlights, communities are grouped into five categories from Prosperous to Distressed. A further review of the data reveals that 52.3 million Americans live in distressed communities representing 17% of the population, but more than 50% of distressed communities are in the South, which only has roughly 37% of the total population. Given the significant gap between Prosperous and Distressed communities is it any wonder that many Americans are suffering? As was reported earlier this year, the U.S. has suffered consecutive drops in life expectancy for the first time since the early 1960s (1962-63). On average, Americans can expect to live for 78.6 years, which is a full 1.5 years less than the average for developed countries. It is great that many Americans are prospering during the recovery from the GFC, but to claim that the U.S. is humming on all cylinders is a great injustice to many of our fellow citizens who have yet to benefit, and may never. It is being reported that Laborers Local No. 265, Cincinnati, has applied to the US Treasury Department for benefit relief under the Multiemployer Pension Relief Act (MPRA) of 2014. If approved, plan participants will see a 40% across the board reduction in their benefits. For many, this is likely to be a crushing blow. According to CIO magazine, there are seven plans that have applied and been granted relief since MPRA while another 10 are under review at this time. We are never in favor of benefit reductions on the plan participants given the economic hardship that will be created. 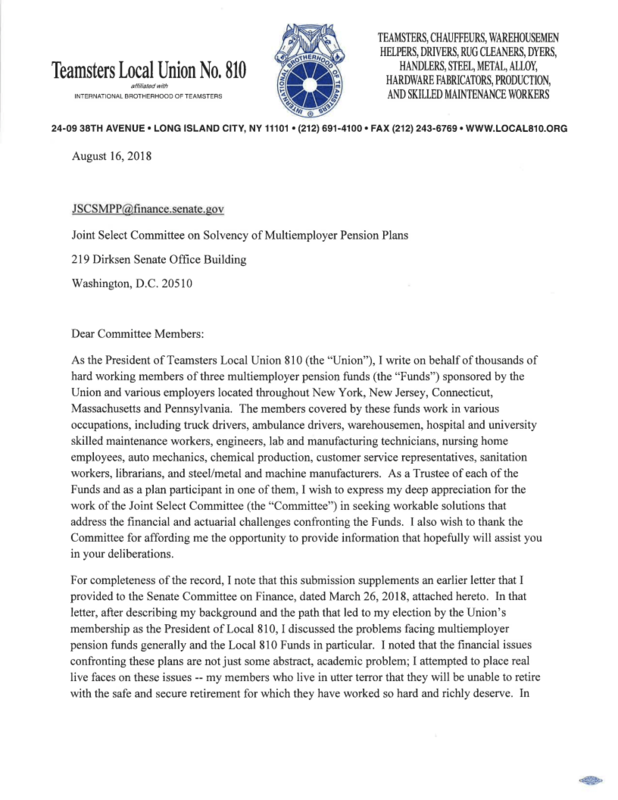 We are especially concerned at this particular juncture when legislation is being debated/crafted in Washington DC through the Joint Select Committee on the Solvency of Multiemployer Pension Plans. As regular readers of the KCS blog know, the Butch Lewis Act is one of the pieces of legislation being reviewed that would provide low-interest rate loans to Critical and Declining plans, of which Laborers 265 is one, that would likely extend the plan’s solvency long into the future (30-year loan). “The Board of Trustees does not think it is reasonable to rely on the PBGC,” said the board in its recovery plan. We agree, which is why passage of the loan program under the BLA is incredibly necessary so as to eliminate the PBGC from this equation. As we’ve reported in previous blog posts, it is estimated that only about 1/8 of the promised benefit would be protected should the PBGC become involved. We cannot let that happen. S&P is out with a recent analysis suggesting that many American cities with weak pension funded status will likely face challenges in meeting both pension obligations and other social safety net funding. According to an article by Cole Lauterbach, Illinois News Network, S&P Global Ratings is predicting that growing public retirement debt will eat up a greater share of the funds available to meet other taxpayer needs. S&P’s annual report specifically highlights the funding for America’s largest 15 cities and their public debt. It is not surprising that S&P warns that taxes will rise and services will be cut if additional sources of revenue cannot be identified. This problem has been anticipated for a long time. What is disappointing is the fact that S&P does not focus on the management of the pension systems, but only speaks to the growing burden created by these plans. The failure of pension America to secure full-funding in the late 90’s when the war was won is a critical component not often discussed when highlighting the burgeoning deficits. Furthermore, we are now 9 1/2 years into a historic equity market bull market and yet, funding hasn’t improved for many of these plans. Focusing on the return on asset (ROA) assumption has never been the right strategy, but it is particularly fraught with peril at this time. Pension systems should be managed against their promised benefits, and investment structure and asset allocation determined by the plan’s funded ratio. By adopting more of a liability focus, plans can remove much of the short-term funding volatility, while extending the investing horizon for the balance of the assets in order to capture the liquidity premium of equities, real estate, private equity, etc. Pension obligation bonds are another means to close some of the funding gaps, but only if the proceeds are used to defease retired lives (and terminated vesteds) and not placed in a traditional asset allocation subject to all of the equity market’s volatility. It is one thing to repay the bond and interest, but an entirely different scenario to have to make up for a 20% decline in the value of the bond proceeds. Let’s hope that America’s largest cities develop a willingness to try alternative approaches to the management of these critically important pension programs.